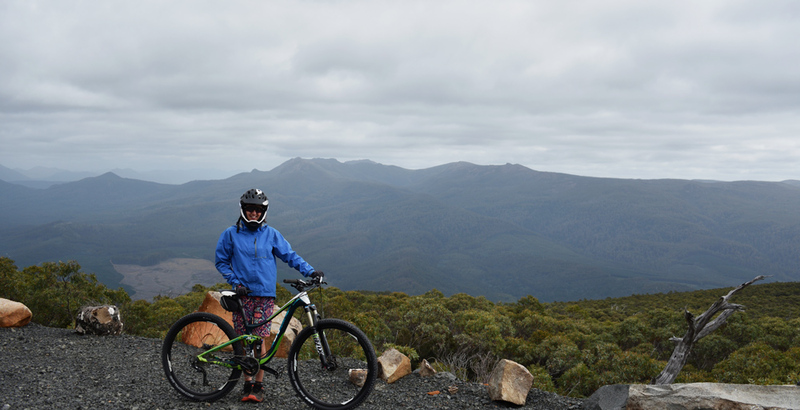 While the past 24 hours have entailed a great deal of exploring Hobart and eating some sensational pub food along the way, the main attraction of our visit to Tasmania was the newly opened Maydena Bike Park thanks to winning a competition over at MTBA. Maydena Bike Park is a full service park for mtb riders to gather and experience gravity trails in a forest setting from the top of a summit in the vicinity of 1,000 metres above sea level. The drive to Maydena from our bed and breakfast in Bushy Park traces the Tyenna river, passing hop fields and forest as we etch towards some rather high peaks. We stop at Possum Shed for coffee by the river eagerly hoping for an opportunistic sighting of a platypus. Not today but the coffee was great. Feeling energised, we continue the drive to the bike park, trailing other cars also headed in the same direction. We arrive in the small town of Maydena, parking outside the former primary school, refashioned into a cool hub of the bike park. We make our way inside to check in, grab the day passes and sign a waiver to say we will be responsible for our own actions whilst on the trails – all standard stuff. 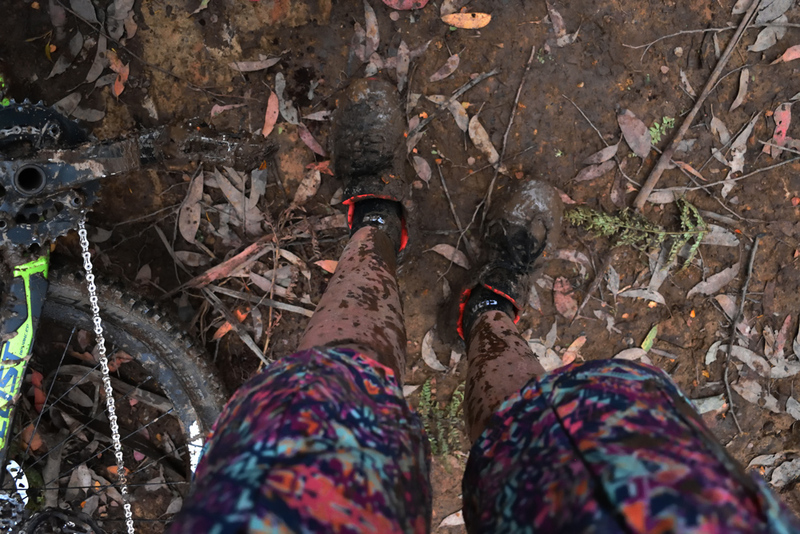 Having endured the wait for one of our bikes since landing in Hobart (Virgin lost one for 48 hours), we were ready, set, and just itching to trail ride. The day pass includes as many shuttle trips to the top of the summit as you so desire. We wait patiently for the shuttle in our fresh clothes, that will be covered in mud by lunchtime. 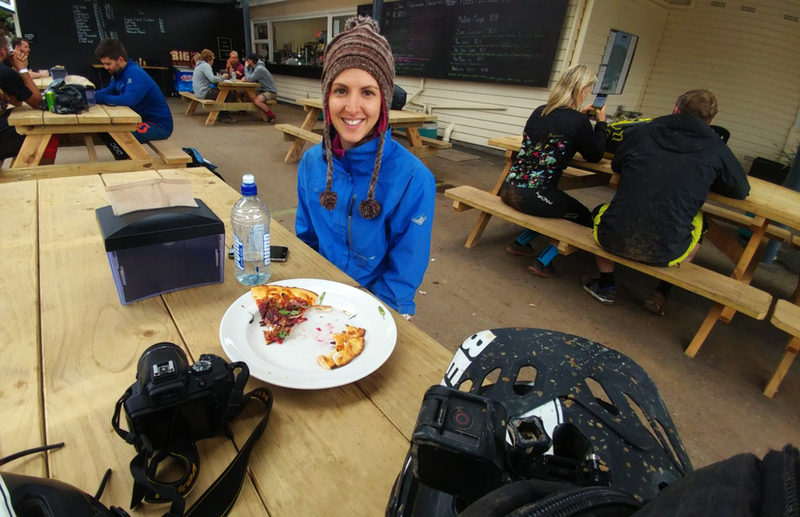 For me, the nerves begin to set in alongside the slight chill in the air, it’s the familiar feeling I experience when embarking on new trails and experiences on the mountain bike. I don’t do a great deal of steep downhill descents, largely because of the terrain where I live. So, whatever happens from the summit will be a total surprise! A minivan and trailer arrives, here we go! We chat to the gent in the seat next to us as the shuttle rumbles along winding gravel roads up to Mt Abbott’s peak, he excitably talks about his rides down. Most of the riders in the shuttle have been up and down a few times by now, 11:00am. Sometimes it’s helpful to hear another person’s thoughts on the trail and he provides me with some useful advice on which trails to tackle, depending on if I like the first one. To be shuttled to the top of a mountain, that also happens to have access to a swish cafe in the old Eagle’s Eyrie building could very well be mountain biking luxury because most of the time back at home, we’re climbing trails on the bikes and limited to find a place to grab a drink with the bikes. To think we won’t be physically pushing it today because we aren’t climbing, is a premature thought at this stage. 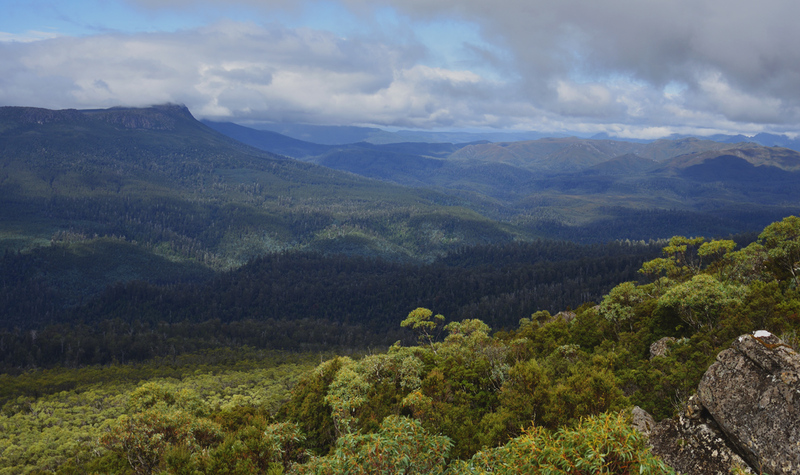 The bike park sits close to Tasmania’s World Heritage wilderness and it isn’t until we are standing on the top of Abbott’s peak, holding our bikes, that we fully appreciate the magnificent expanse. The rolling mountain ranges and simplistic beauty of silence. The wind whirls around us on the exposed peak and it’s time to begin the descent. We descend from around 1,000m into sub-alpine trees along Skyline trail. Reaching the junction of two trails Tee trees and Pandani, we stop briefly and this is the beginning of the choose your own adventure format, which way should we take? I tell the guys to go ahead and I’ll catch up at the bottom, not wanting to slow them down but also wanting to explore and ride at my own pace. Skyline wasn’t as steep or exposed as I anticipated, I really enjoyed the uneven rocky ground, so with that in mind I choose Tee Trees. One by one, we take off, we veer down Tee Trees and the guys disappear around a corner, not to be seen until I reach base. 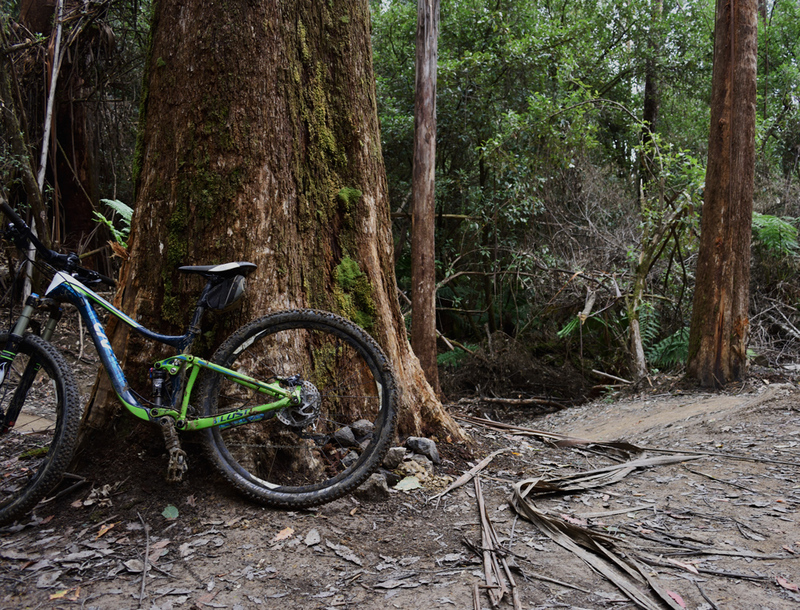 Tea Trees is a good mix of tight rocky trail and short corner turns. The top section is slippery as a result of the mud, you could probably build a rather sturdy cod house from it. New to mud, it seems that less of a grip on the brakes, the better perhaps? Easier said than done, and despite the muddy rocks and tree roots creating some challenges, Tee Trees turns out to be one of my favourite trails for the weekend. Living in the Pilbara, it’s been a very long time since we’ve seen wet ground but we love it! The appearance of a series of board walks provides a short diversion from the technical bits and it’s fun. Lucky I bought a fresh pair of socks for later. Mud was super fun though! From Tee Trees I take Marriotts, a smooth flowing trail featuring many thrilling gravity berms. This section is relatively dry and quite fast. 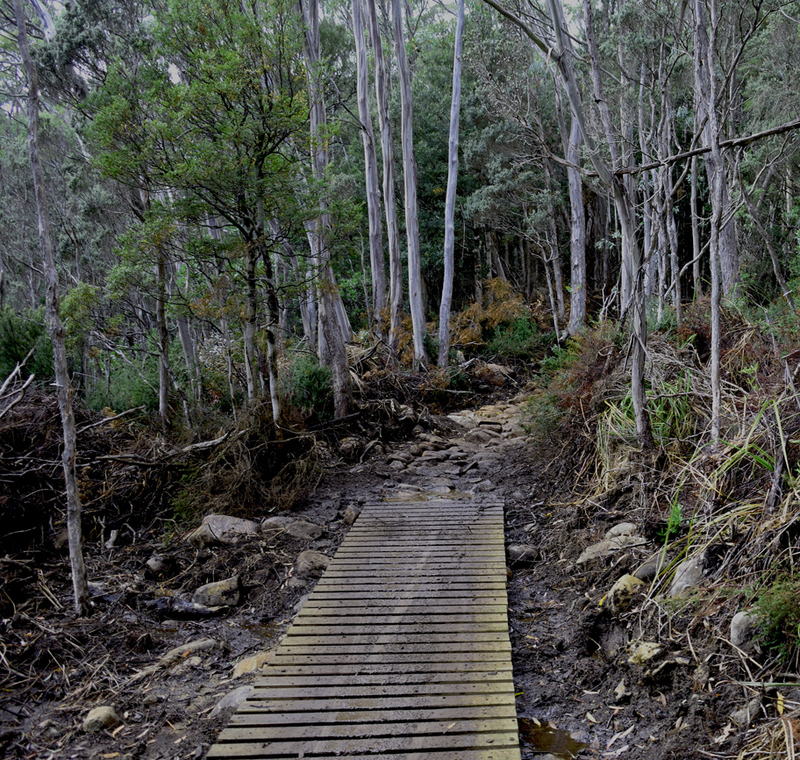 Several trails cross others and there is signage pre-empting this, I cross the black trail, King Brown and a glimpse up into the trail reveals it’s gravity. I stop for a quick five minute break and take the below picture. 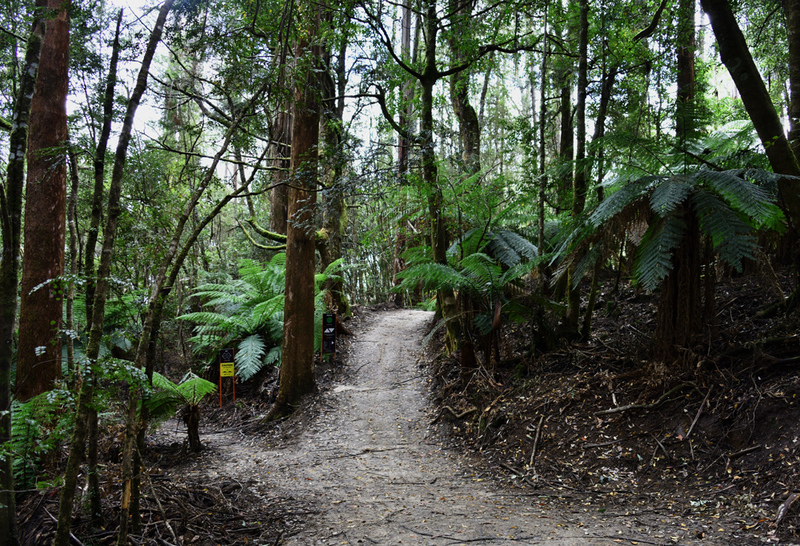 The green, Midline trail cuts across the mountain, it’s wider and involves a few minor climbs. I enjoy Midline as it gives me a decent break to casually ride and take in the beautiful rain forest that I’m immersed in. 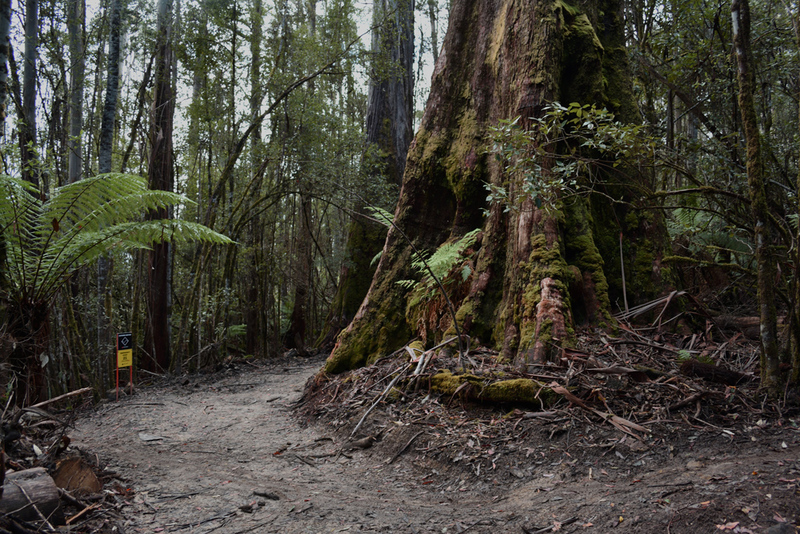 I pass a gully of fern trees, in Tasmania these trees are biblical in height. 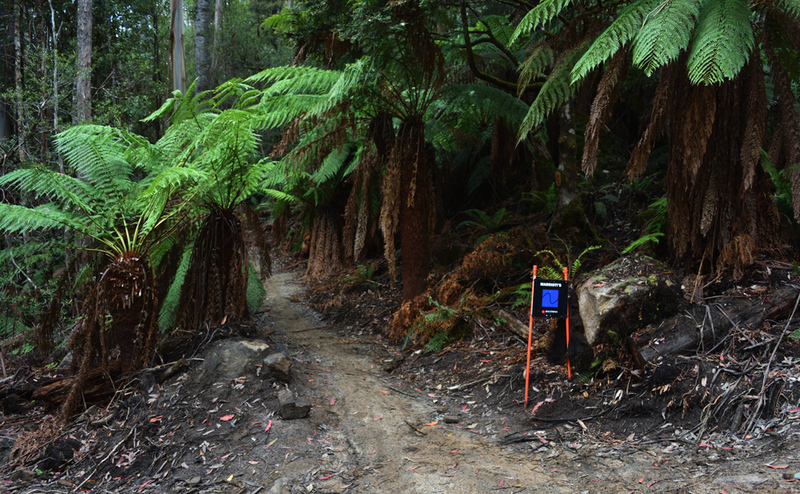 Midline trail can be cycled in two directions to access a further seven trails – yay! Midline Trail affords time to take a photo. And another photo. I have the trail to myself. Eventually it’s time to choose another descent. I follow other riders down East side which continues down through dense forest. This is a tight uneven trail and as it is lower down the mountain it isn’t as steep, but there is still plenty of speed naturally occurring here and it is super fun. I skip the opportunities to enter the black trails and continue the ride down a few more large berms to the next junction at Turn Earner. It’s an epic berm kind of day and to great joy they continue to rise up on the trail. On the green rated trail, Scandinavia, they become moderate in size, or maybe I’ve rolled into enough from the descent they are becoming easier for me? By now I have well and truly relaxed the tight grip. Scandinavia meets the end of the blue trail, Colour Blind where there is a gigantic tree and a nice spot for an interlude. A few riders are also gathered, the majority of people I meet on descent over the weekend are from Tasmania. How awesome would it be to have this only a drive away! From Perth, we travelled two flights and a car ride for the better part of a day. Worth it though. In a procession, we all continue down Scandinavia exiting the forest to a clearing and three trail choices, though I think one was still being finished. I roll down Tynenna which unravels into a few fast and also, roll-able jumps. Homeward trail is the final stretch for all riders to base, it’s a bit of a victory run and a final berm just in front of the lawn area where Derek’s cheering me on. That first run was a fairly big deal for me and it felt great to accomplish it. 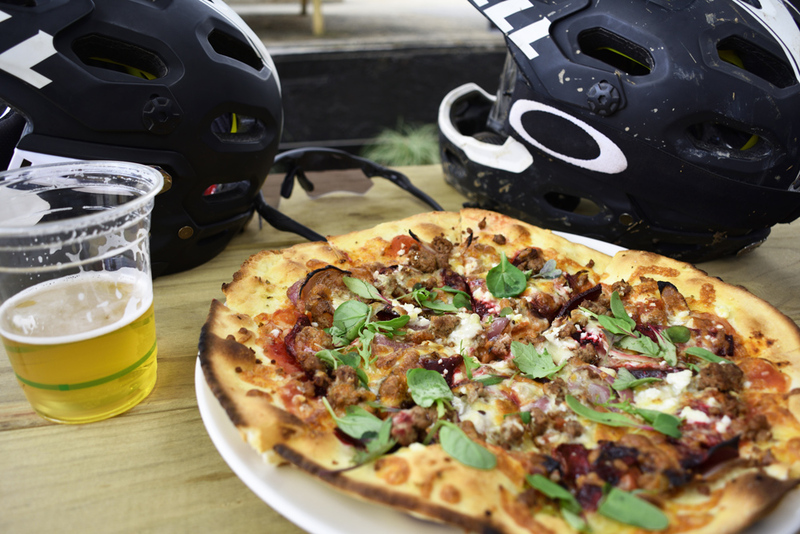 Lunch beckons and I set the bike down on the way to canteen, the menu looks substantially great so we order a Wallaby pizza and brown rice salad. The picnic benches become a spot where we chat about our descents and plan the next one. It was a late lunch for us and afterwards we were keen for another descent. Up we go again along the gravel road and without the nerves this time. I do a similar run down and Derek tries other trails. 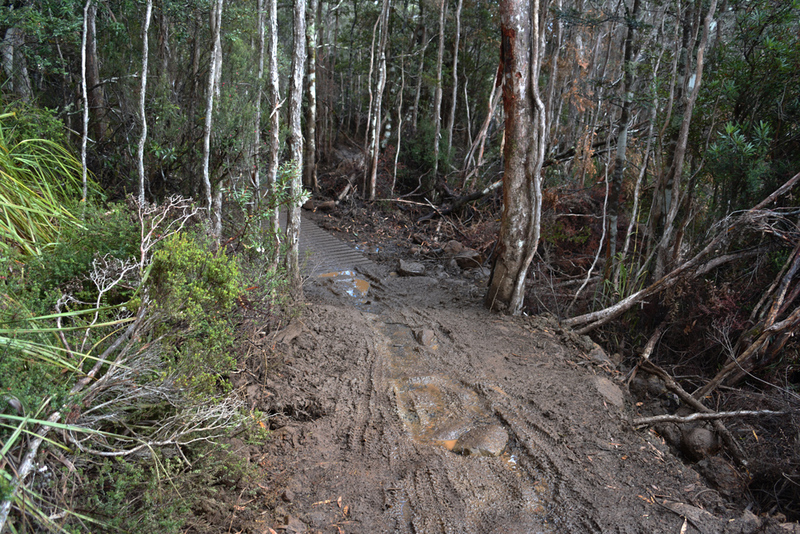 In the afternoon the mud prevails on the top section of the mountain. It’s not a surprise really, weather conditions on a summit can be highly unpredictable or, highly adventurous. I have a few setbacks on Skyline and Tee Trees but I don’t let the struggle overcome me, back on the bike (a little sore) I’m sliding and spraying mud all over the place. I take a steady pace down, not willing to push it. Rather than cycle across the hill on Midline, I descend into Dial it Down, a blue graded flowing trail. The berms on this trail are epic to me and there are so many of them. I steadily descend, though I imagine you could whip down. This trail rattles me and I think it’s a combination of the set backs and my endurance fading a little as the sun begins to set. I’m finding it a struggle to maintain strong arms. Late in the afternoon and probably the last shuttle up for the day, I decided to not join Derek on another descent and try the climbing trail instead. I zig zag my way up the steep hill and behind me a clearing provides a nice vista. 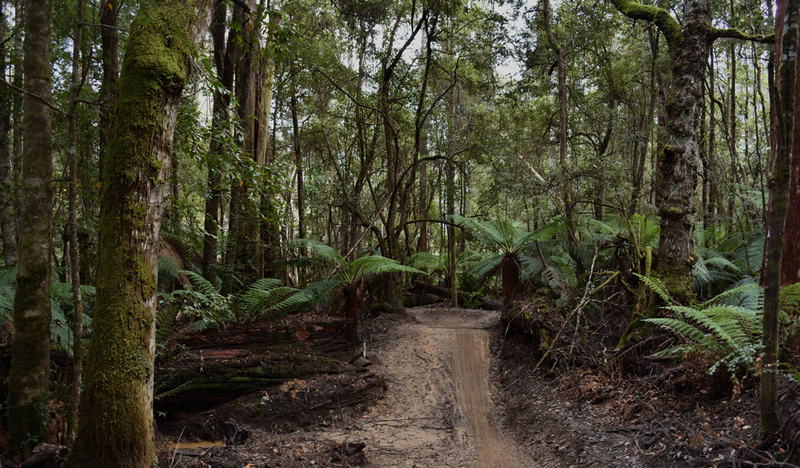 I stop a few times and hike the bike before reaching a fire track road. I must have taken a wrong turn somewhere and ended up close to Tyenna instead of further up. I decide to head down and have a beer. The rest of the weekend turns into a routine of ride, eat and drink coffee/beer, sleep and repeat. We both define this as living the good life. At the end of our trip, we were genuinely sad to leave, we felt we had more riding in us and came to the conclusion we would like to return for a longer trip. 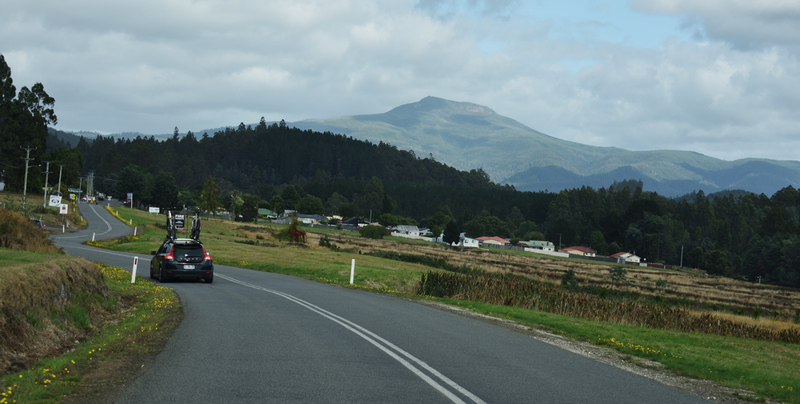 Just as we were beginning to ‘acclimatise’ to the Tasmanian terrain it was time to leave. It’s great to know that currently work continues behind the scenes adding new trails including a XC to the fun mtb network. There is no denying that because of the facilities available to us at Maydena Bike Park we were able to get the most out of our mountain biking days and really push ourselves. We probably would have camped out at base just to be able to ride at dawn and squeeze in more rides! At the same time, if we wanted to chill we had the options of hanging out in the hub or going to the top of the summit where there is also a place to eat and drink, a fire in winter too! Riding a bike down a mountain does carry a level of extremity and we cycled with full face helmets, water hydration packs, insurance and respect for the terrain. We found the network of trails was easy to navigate thanks to regular signage. Sticking to green and a few (not all) blue trails I was able to roll over the trail at my own speed. Derek who has a penchant for fast jumps, was in his element and this is really what the bike park does best, is those gravity trails. With varying riding skills between the both of us we each individually found adrenaline on these trails! Sounds like a great place ? 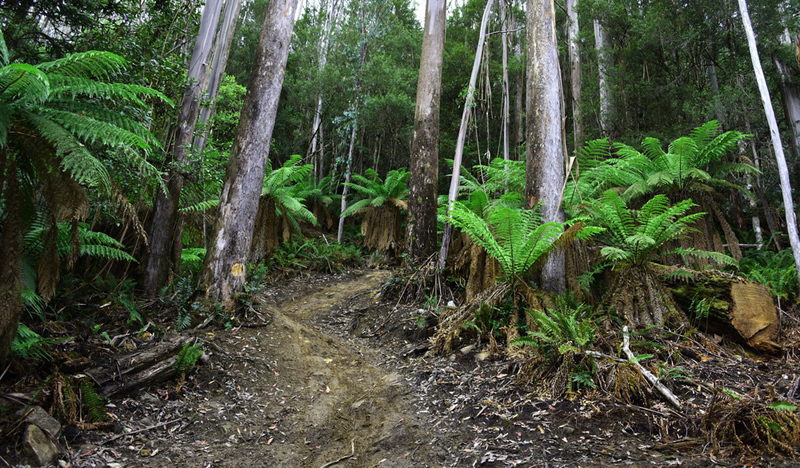 So happy to have come accross your post as we love mountain biking and are always looking for trails like these. I subscribed to you newsletter to stay up to date and read more of you.